College-ruled T-shirts | My Crazy Blessed Life! 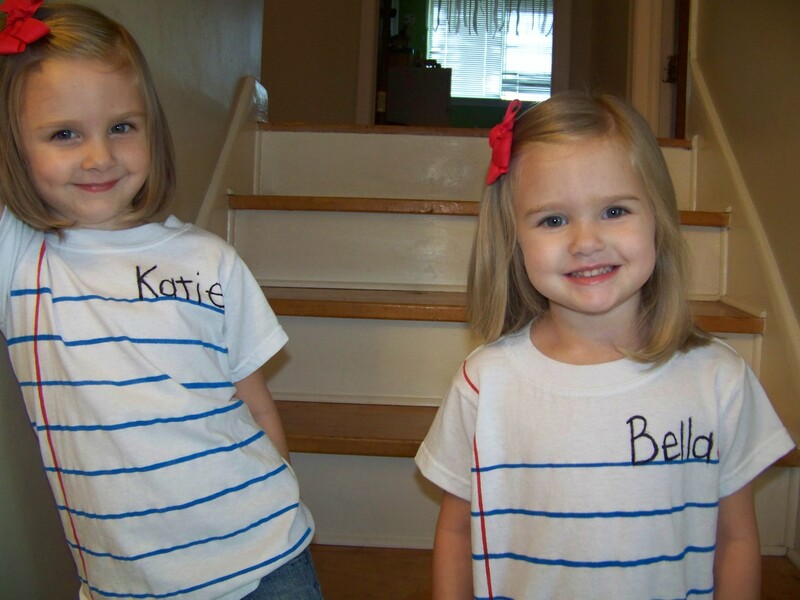 So I recently made these really adorable and easy shirts for my girls. They are made to look like a piece of notebook paper and remind me of school, so with school just beginning for the year and office supplies everywhere for sale… well you get where my motivation to create these came from. 1. First you need a white T-shirt (I got the girl’s shirts a while back at Hobby Lobby when they did the 50% off shirts so they cost 1.50 each. 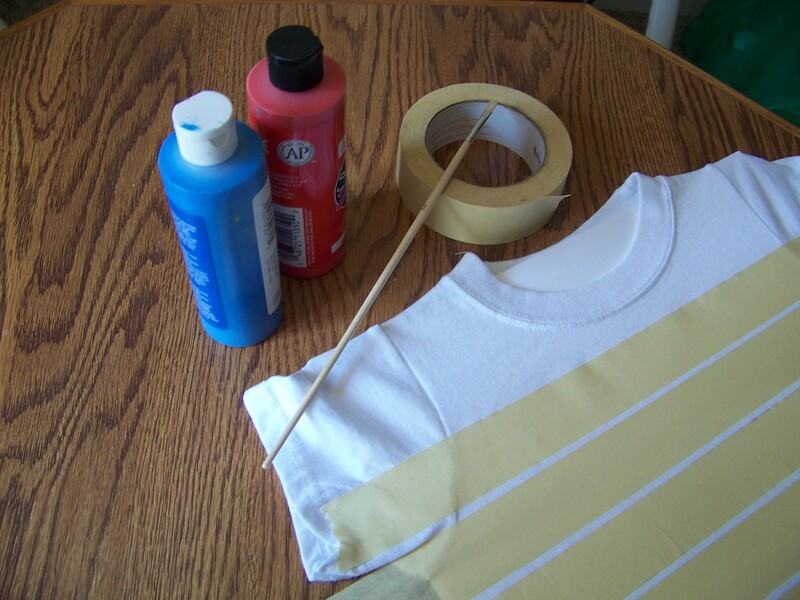 You will also need blue and red paint (fabric paint or acrylic with fabric paint additive), a paint brush, poster board to put inside the shirt so the paint doesn’t leak to the back and wide masking tape.